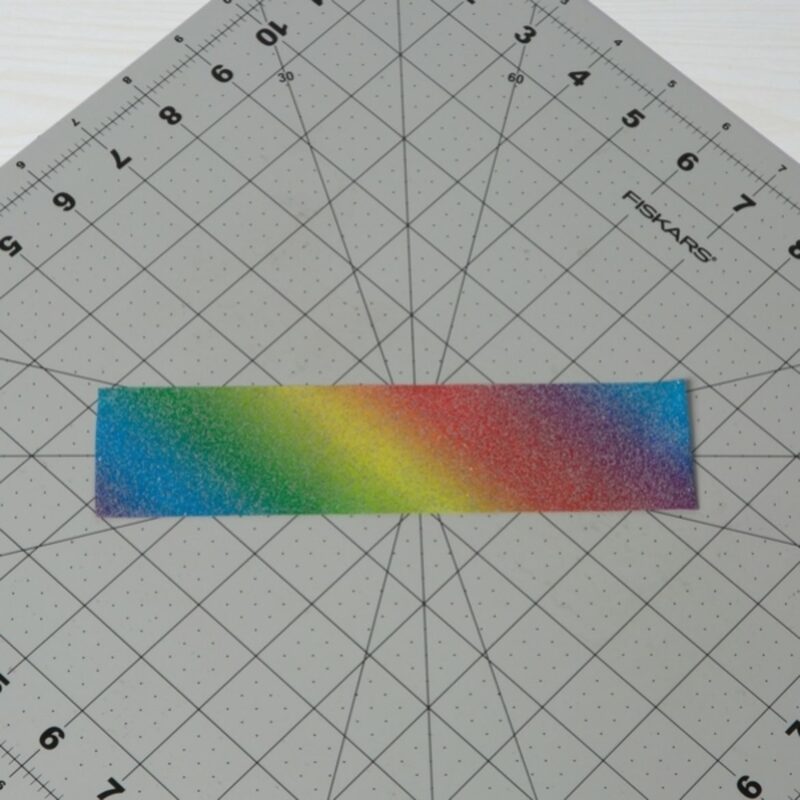 Lay a strip of glitter tape sticky side down on your crafting board. 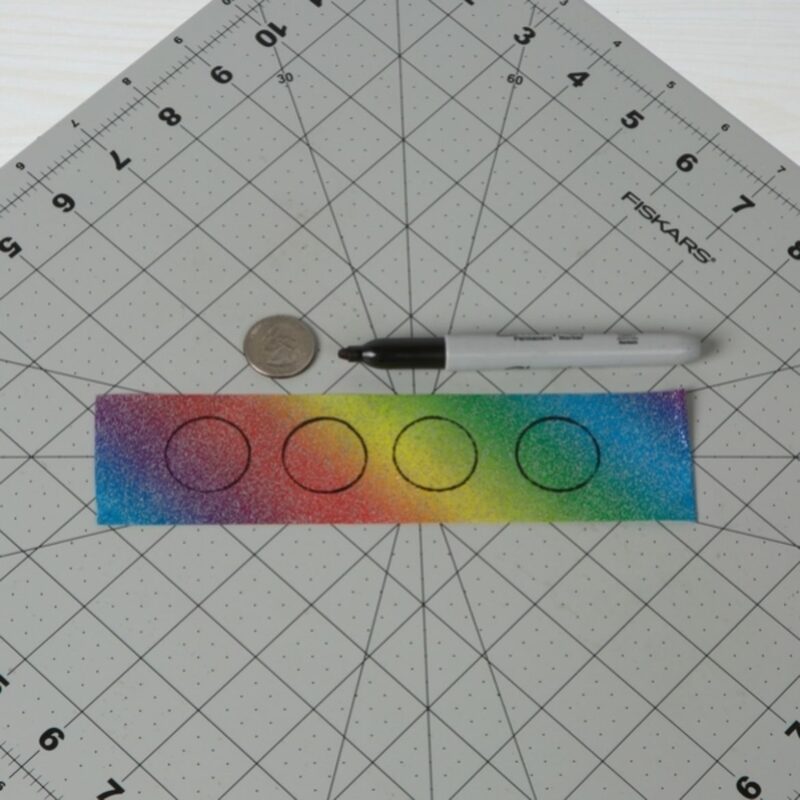 Using your quarter as a guide, trace circles onto your strip. 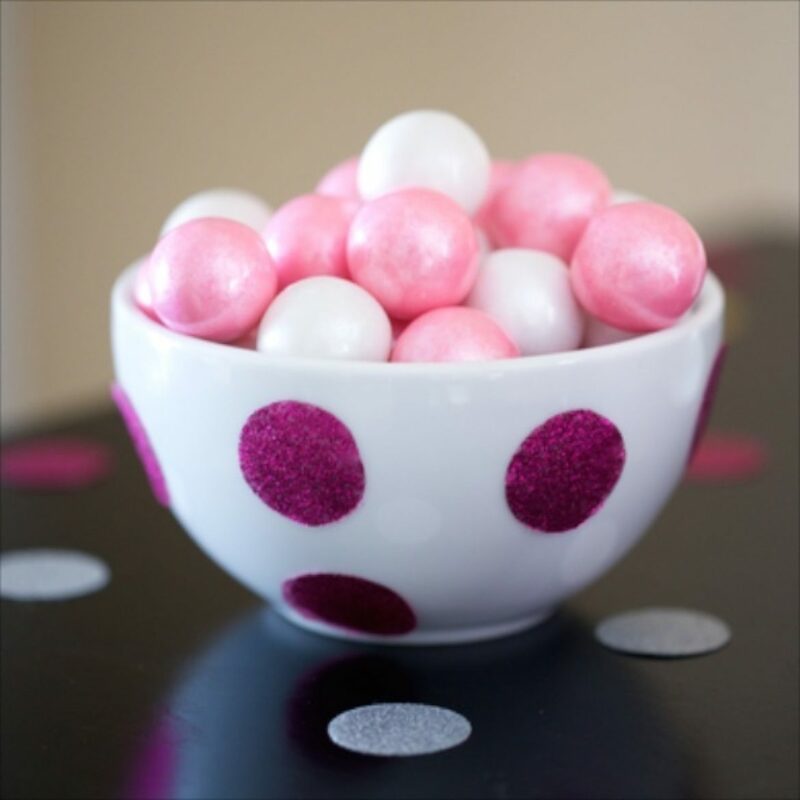 Cut out your circles. 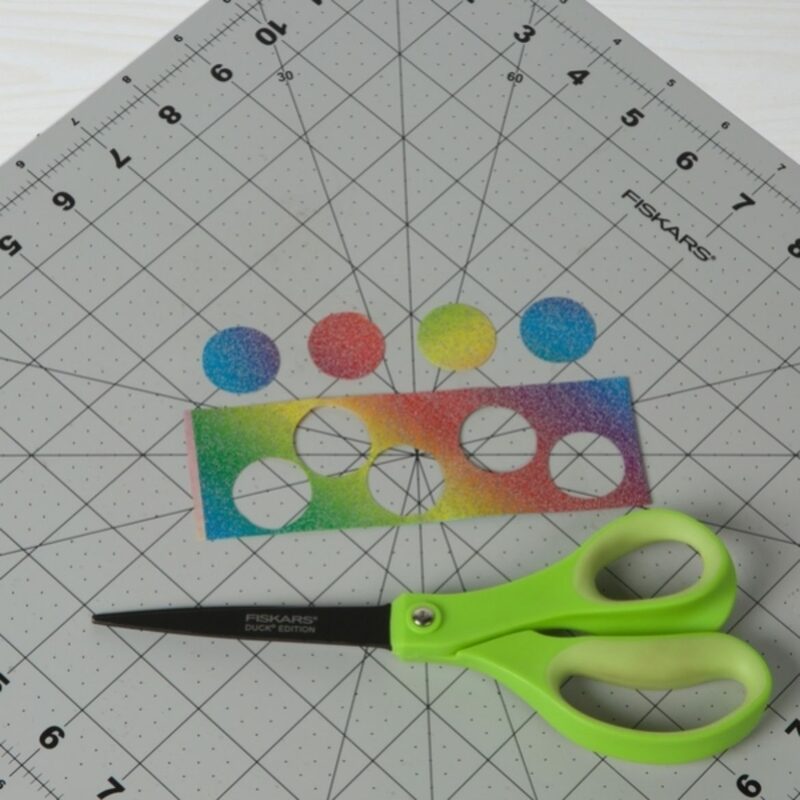 You can place your strip on wax paper and cut your circles out this way, too. 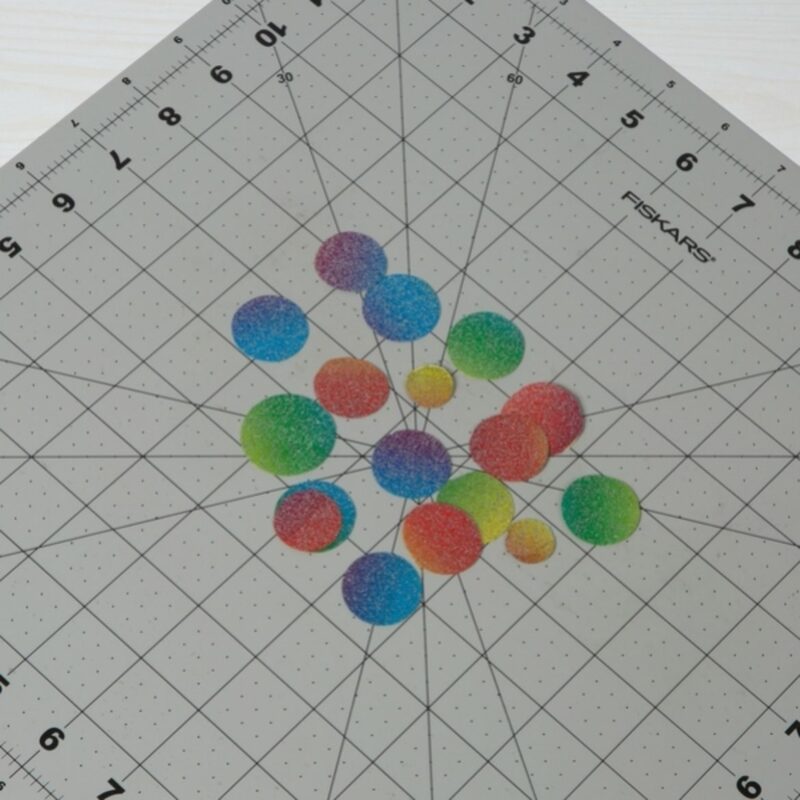 Trace other circles or shapes of different sizes if desired.